While Greater London and the South East has experienced a surge in both nominal prices and rental rates over the last couple of years, recent reports from RICS, the major lenders and estate agents confirm the ripple effect across the rest of the country is very much in evidence. In fact London rental growth is being outpaced by several parts of the UK - with the Northern regions leading the way. With this pattern set to continue into 2019, it comes as no surprise to learn that so many South East-based investors are planning to … Invest North! Alliance Investments is a subsidiary of Property Alliance Group. Property Alliance Group is a 28 year established UK property developer and investor with offices in Manchester and London. Alliance’s extensive experience and contacts in the development and investment arena allows them to identify off-market deals and add value through development, refurbishment and rigorous asset management strategies. Details at stand 330. Knight Knox is a leading provider of buy-to-let developments to the private investor market. Specialising in new-build residences, high-end refurb' projects and luxury student accommodation, their portfolio of completed and future stock is a testament to the quality of products they bring to market. Speak to them at Stand 100 about investments in Manchester ... Liverpool ... Sheffield ... York. SevenCapital is one of the largest privately owned real estate investment and development companies in the UK. Since launch, the group has built a portfolio of projects with a value in excess of £1.5billion, spanning more than 5 million sq ft and employing more than 130 dedicated property and construction professionals. Est in 2009, the company has gone from strength to strength and, in addition to offices in London and Birmingham, SevenCapital now has offices in Dubai and plans for more. Since we first opened our doors in 1997, we have helped more than 50,000 people move home across North and West Yorkshire. We offer all types of Property including studio flats, luxury apartments, conversions, cottages, terraced houses, townhouses, semi-detached and substantial executive detached houses with rentals ranging from £400 pcm to £4,000-plus pcm. we are now working with some large developers which is allowing us to offer exclusive off market investment opportunities to our pool of investors. 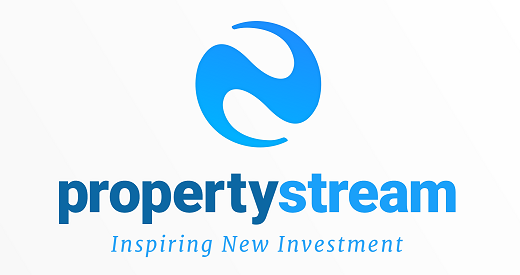 Property Stream has access to a broad spectrum of property investment options, which means they can provide bespoke client solutions. Opportunities are always evolving fast and their website displays only a snapshot of what they have available. Meet their team at stand 430 to discuss some great deals in Manchester & Preston. Keystone Property Group provides access to high-quality property investments created in partnership with some of the leading companies around the world. Each opportunity is hand-picked, with high yields and robust investor security as the building blocks. Operating from offices in the UK and Hong Kong, here at ERE we focus on providing a 'fully managed' service,and we have expanded to not just cover the purchase of the property but it's ongoing management, ensuring the property is fully let and delivering a profitable yield. Typically we deliver 5%+ Net Yield, but many of our 'hot spot' cities in the North & Midlands can deliver up to 8% and strong capital growth. Elite Property Solutions Ltd is a property investment company based in Cumbria that uses time proven strategies specially tailored to the individual requirements and aspirations of our clients. Whether you’re a seasoned investor or new to the property world, Elite Property Solutions will help you find the perfect strategy for a fantastic bank beating return on your investment. We have over 27 years of experience in Property investment and management and have worked with a range of different styles of property throughout Cumbria and Scotland for many years.